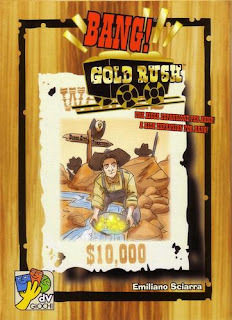 It's Gold Rush time! A cascade of gold nugget will be the reward for the quickest gunslinger! Now you can gain new and extraordinary equipment to help you during a gunfight. But watch out for the ghastly shadow-gunslingers....they have only one single aim: to blow you away! Can you gallop your way to the riches creek? Also back in stock is the popular expansion Bang! Dodge City. 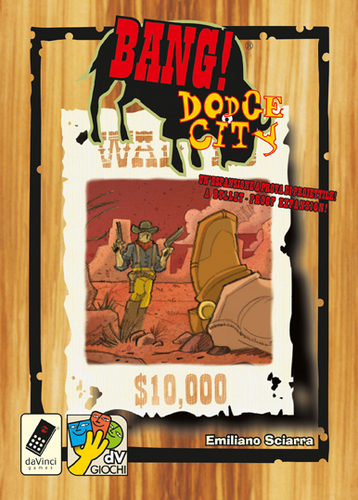 This expansion is double-packed with a Dodge City expansion and a High Noon expansion. All of these Bang! expansions can be played separately with the base game or combined to give players even more "wild west" action and challenge. Also in this week is another classic game from Steve Jackson Games; The Awful Green Things From Outer Space, Eighth Edition. This comical 2-player space-themed game takes place aboard a spaceship in outer space. The crew have discovered that one of the "mineral specimens" taken from one of the visited planets was an egg that has hatched menacing Awful Green Things. 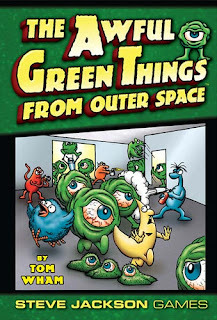 In the game, one player assumes the role of the Awful Green Things, happily growing and eating crewmen. The other player represents the ship's crew, fighting for their lives.